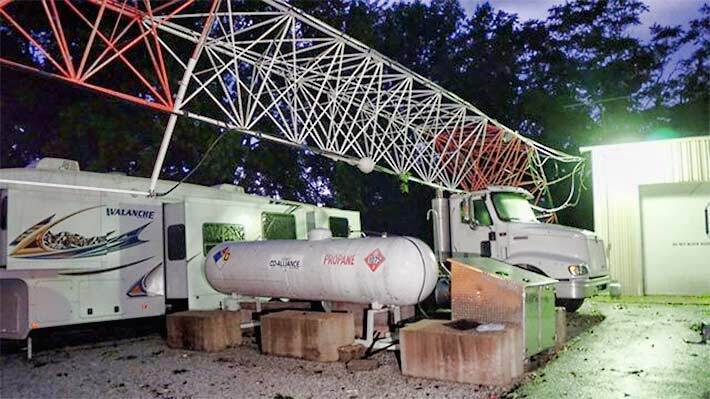 An internet service provider’s 180-foot guyed tower collapsed this morning in Russiaville, Ind. after gusts reported to be at 100 mph hit the area. The tower, located at Union and Stewart Streets, is owned by Start of the Art Communications. Local ambulance services and the Howard County Dispatch Center also have equipment on the tower. 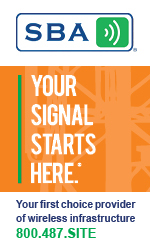 It also was part of a repeater system used for the local SkyWarn network for amateur radio operators. The tower missed a propane tank when it fell, but it struck Jones’ RV dealership, Tri-County Travel Trailers, across the street. The maximum basic wind speed for Howard County 90 is miles per hour under EIA/TIA-222 Rev. G.
To find wind speeds in all of the nation’s counties, click here.